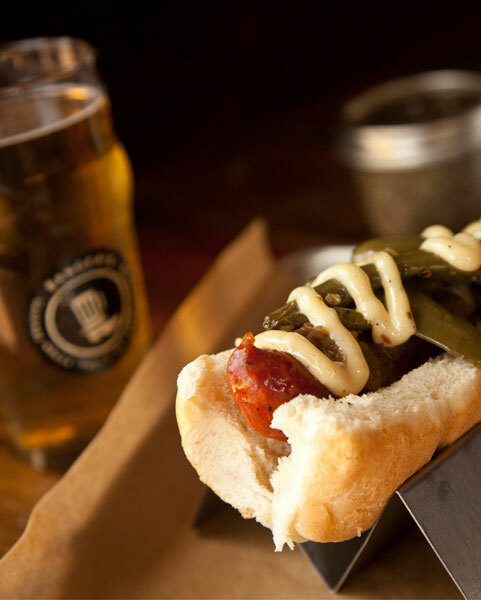 Boasting the largest sausage selection in Austin, Banger’s Sausage and Beer has whatever encased meat you’re craving, including wild boar, antelope, venison, turducken and even vegan and veggie options. The Drunk Chicken sausage is made with beer, and the house-made banger is topped with a Deschutes Obsidian Stout onion gravy. More than 100 beers on tap are divided into categories like Wheaty & Smooth, Hop Heaven and Dark & Roasty with featured local breweries including Austin Beerworks, Live Oak, Real Ale, Thirsty Planet and Hops & Grain. Whip In, a must-see beer stop, is a combination of brewery, music venue and market that serves authentic South Asian food with a traditional flare. Samosas and house-made hummus with fried naan chips join modern twists like Whip-Indianized Nachos with El Milagro chips, Austin Slow Burn queso, pico de gallo salsa and a cilantro chutney. The creativity keeps flowing with Kamala Brewing at the Whip In, which makes beers with unique ingredients like bourbon-soaked hibiscus flowers, orange peel, toasted coriander, candied lime peel, lemon peel, cardamom and molasses. Blackjack Bourbon Barrel-Aged Black Ale, Starview Blonde Ale and Red Zeppelin Irish-Style Red Ale are just a few of the brews on tap at North by Northwest Restaurant and Brewery. Its classic Bavarian Hefeweizen, described as “the perfect accompaniment for a great Austin afternoon,” is made with German Hallertau hops. Classic pub grub like the beer-battered onion rings, burgers, pizzas and wings join fancier fare like quail wrapped in bacon, roasted lamb, pasta dishes and lobster risotto. If you’re feeling ambitious, check out North by Northwest’s Beer School classes to learn how beer is made, play some beer trivia and taste hops and malt before they’re turned into beer. 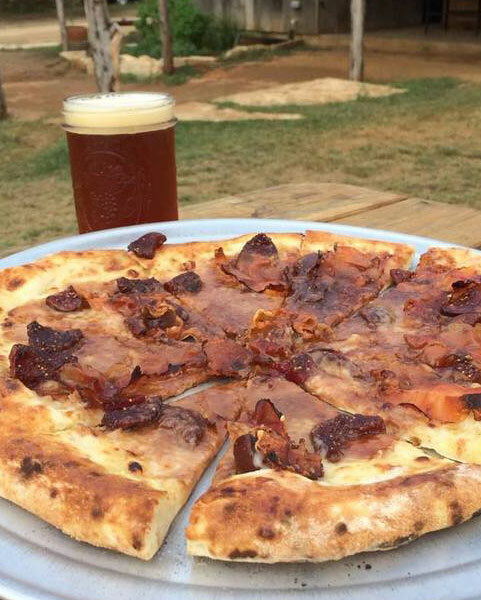 Pinthouse Pizza uses locally-sourced organic ingredients whenever possible to create its array of specialty pizzas, like The Armadillo with olive oil, cheese, artisan sausage, poblano peppers, ricotta and cilantro. Besides its mainstay beers, Pinthouse has a barrel-aged series, firkin taps every Tuesday, and small-batch beers. The Calma Muerta Session Ale is “as refreshing as a dip in the Barton Springs on a summer day in Austin,” and is made with Cascade and Equinox hops. Start with the lamb chop fondue served with chili pecan bread and roasted squash. For a heartier option, try Roaring Fork’s bacon-wrapped pork tenderloin with White Falls Mills cheese grits served with Mexican street corn or green chili mac and cheese. Bottles of local beers are on the menu from places like Circle Brewing Company, Real Ale Brewing and Independence Brewing. Before or after dinner, walk upstairs to Stephen F’s Bar & Terrace for views of the Capitol building and more local beers on tap. 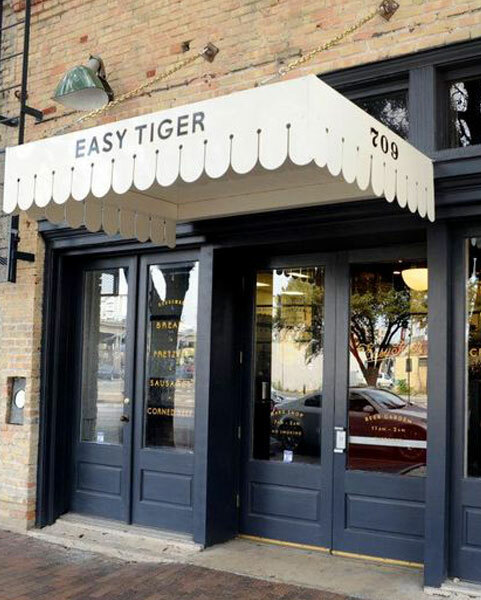 Part bake shop, part beer garden, Easy Tiger serves more than 30 draft beers as well as bottles. Local breweries on the list include Jester King, Real Ale, Austin Beerworks and Live Oak Brewing. Enjoy a pint alongside some homemade beer cheese with pretzels or one of the “Easy Board” plates like the Texas Hill Country board with pain au levain, rye, quail and herb sausage, wild boar and green chili rillettes, duck summer sausage and house pickles. Grackle Black IPA, Valley IPA and Draught House Red Planet—a lightly sweet and fruity amber ale—are a few of Draught House Pub’s beers on tap. It’s also got brews from Thirsty Planet, Real Ale, Jester King and Hops & Grain, along with dozens more. A different food truck is there every day, including popular ones like Best Wurst, Quality Seafood, Rosarito, East Side Kings and Austin Land & Cattle Truck. Austin is known for live music and BBQ, so why not combine those with beer for the ultimate experience? Uncle Billy’s Brew & Que serves brisket, pulled pork, ribs, chicken, German sausage and jalapeno cheese sausage. Starters include Humbucker Helles beer-battered oysters and P.E.I. mussels with Uncle Billy’s Helles Lager. You can also check out the live music schedule. 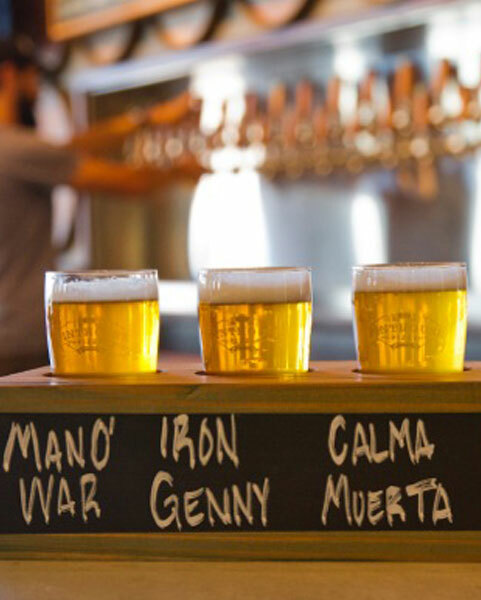 Get a taste of local with The Ginger Man’s flights of Texas Seasonals from breweries like (512), Austin Beerworks and Real Ale, or turn any of the dozens of beers available into a beer float with vanilla ice cream. To accompany the extensive beer list, Ginger Man offers house-made potato chips with rosemary and olive oil, mixed nuts, spinach and artichoke dip, and flatbreads, including one made with Dogfish Head Bratwurst and Ale Onion. A beer trip to Austin isn’t complete without stopping by Jester King Brewery for some authentic farmhouse beers. In between your La Petit Prince and Black Metal, you’ve got your choice of pizzas made with fresh, local ingredients from Stanley’s Farmhouse Pizza. The Willie will give you what Austin does best—it’s topped with brisket, barbecue sauce, cheddar cheese and red onions. The Beatrice has garlic and shallot béchamel sauce, fresh mozzarella, goat cheese, mushrooms, arugula and extra virgin olive oil. 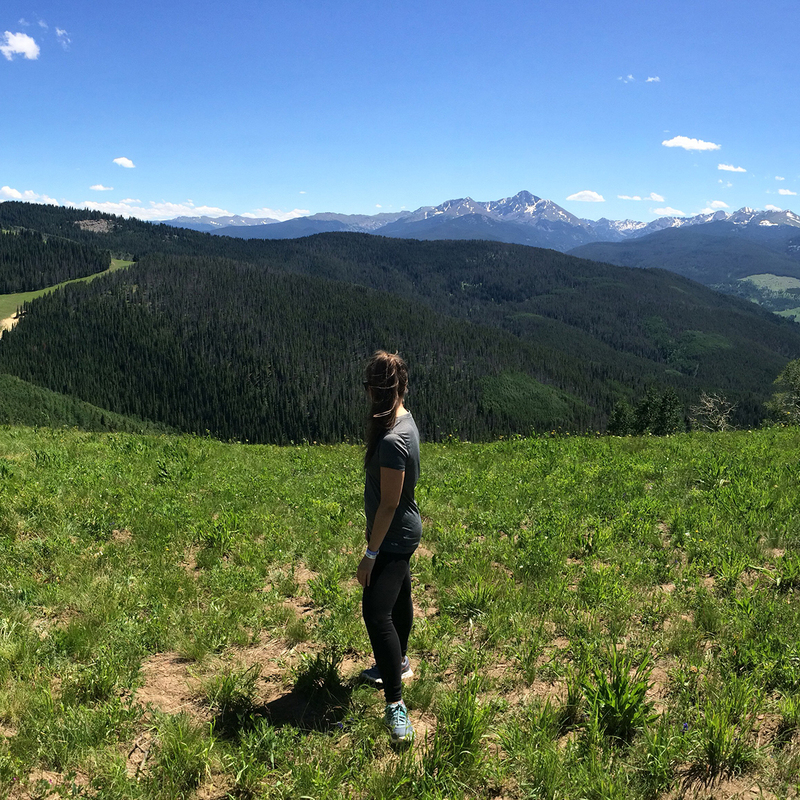 Kristen Kuchar is a writer and editor that is fortunate enough to cover her greatest interests: travel, food, and craft beer.